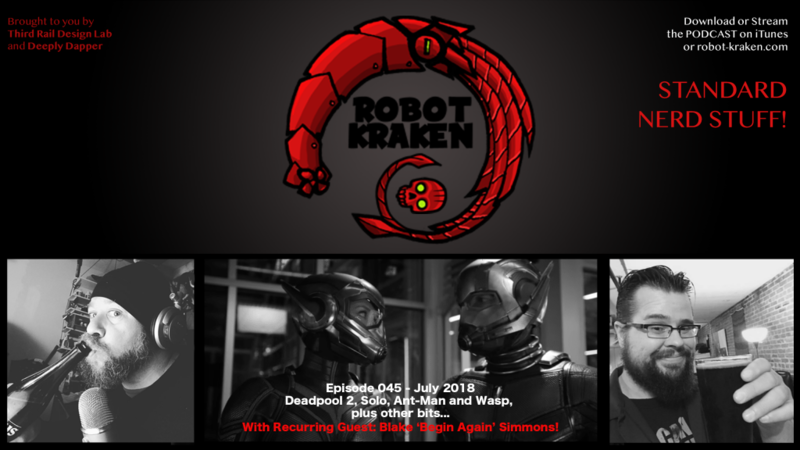 Your regular host Thom ‘Third Rail Design Lab’ Chiaramonte and guest host Blake ‘Begin Again’ Simmons review and discuss Deadpool 2, Solo, Ant-Man and Wasp, current events and more! Monkey-Jacket Musing: What Characters Should Have a Solo Film Set Directly After the Snapture? Download this episode directly if you like!